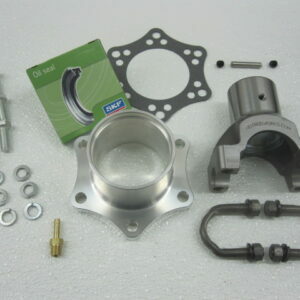 If you have installed a later ring and pinion gear set in your 1933-1934 banjo housing and want to convert to open drive this is the kit you need. 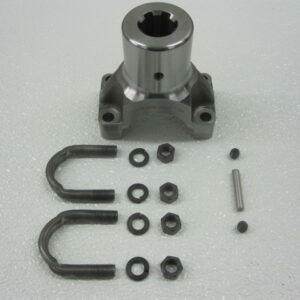 This kit uses a longer seal housing to accommodate the difference between the earlier and later pinion shafts. This is a bolt on kit. 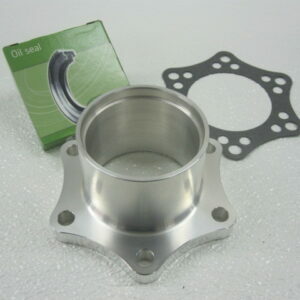 Precision machined for correct fit. 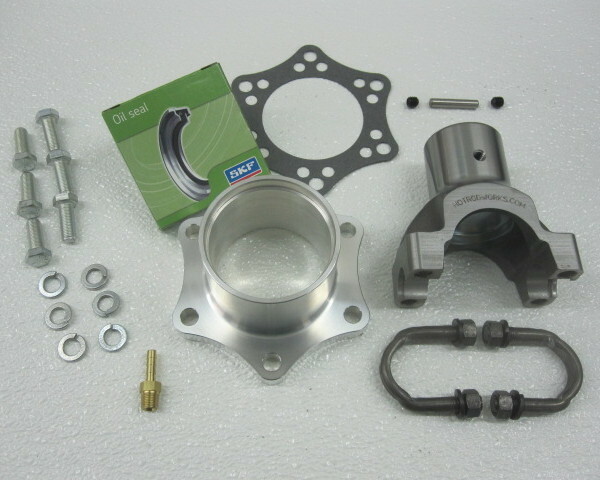 This open drive kit uses a standard #1350 U-joint (NAPA #331, not included). The rear end should be vented when installing an open drive kit. 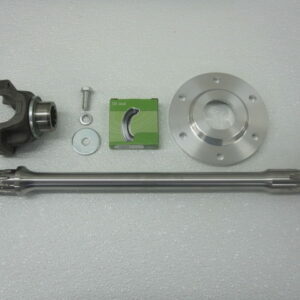 A vent is included in the kit.